The sight of primroses adorning Devon hedgerows with their characteristic clusters of soft pale yellow flowers epitomises the arrival of Spring. Indeed its vernacular name, prima rosa, literally means first rose, appearing as they do as early as December during mild winters, but more typically in March and April. They often continue to bloom well into May and even early June. The common primrose (primula vulgaris) is strangely not actually part of the rose family but belongs to the herbaceous and woody flowering primulaceae plant grouping. This day is in honour of Benjamin Disraeli who died on 19 April 1881. The primrose was Disraeli’s favourite flower and Queen Victoria would often send him bunches. During the 1960s Stowford Paper Mill in Ivybridge, which was then part of the international paper making group Wiggins Teape, began sending bunches of primroses to all of its clients throughout Britain. The tradition originated from a paper mill located near Exeter called Hele Paper Co Ltd, when the Managing Director had a custom of picking a few early primroses from the hedges around the mill to send to his mother. This pleasant custom caught on and was adopted by the company and when Hele Mill was bought by Wiggins Teape in 1919, the distribution continued. By the 1960s collection and despatching of primroses had transferred to Stowford Paper Mill, a sister paper mill better positioned for the task. Each April, local people were able to bring along bunches of 50 primroses together with 5 leaves to the Congregational Church Hall where temporary staff employed by the paper mill would pack two bunches in plastic lined boxes ready for distribution to all Wiggins Teape clients. Work started between 8 and 8.30 with the arrival of the flowers, mainly picked by school children who were paid around 5p a bunch in later years. Volunteers then packed the flowers and labelled the boxes with pre-printed labels from Wiggins Teape. Each member of staff at the mill was permitted to send boxes of primroses to family and friends. Work had to be completed by lunchtime ready for the postman to collect the boxes so they could be delivered the next day. This process went on from Monday to Thursday so that offices would be open for the next day’s delivery. Flowers that were not used each day were put in shallow trays with water to keep them fresh. Monday was a busy day as the children had spent the weekend collecting the primroses which were stored in water, often in the bath, in many homes around Ivybridge! Each year a different insert card accompanied the bunches of primroses. Often very colourful, they were treasured by recipients, eventually becoming collectors’ items. The pale yellow card celebrates the bicentenary of Stowford Paper Mill – 200 years of continuous paper making. The mild weather which has brought on the primroses a fortnight earlier than usual had an odd repercussion yesterday. It caused a large paper mill at Ivybridge to run out of petty cash. The mill had been paying 4d. a bunch for primroses to send to customers and friends and yesterday the gatherers took in a record 18,000 bunches. Eventually the clerks had to make out chits-promissory notes cashable at lunch-time, which the children at least, eyed with suspicion. The chits were duly honoured of course as befits a mill that makes for the Post Office a large amount of “security paper” so valuable that its end products cannot be specified. News clipping from the 1960s taken from a mill scrapbook. Fourth April, D-Day for primroses dawned bright and fair, and brought with it a record inrush of primrose gathers. No less than 18,500 bunches were poured into broke baskets between eight and ten-thirty a.m. and by the evening they were all en route to all parts of England’s suburban and industrial areas. It might be thought that such a vast number of primroses gathered in one day represents the commercialisation of what is mean’t to be a goodwill and cheery gesture and is therefore to be deplored. The fact is that the vast majority of primrose pickers are school children ranging from tiny tots with their four or five bunches to teenagers with anything from 50 to 100, and what is more these children are well enough versed in nature law not to strip the plants and damage their growth. What is remarkable is, that a project that starts with crowds of scrambling noisy youngsters resolves itself into a major feat of organisation and administration resulting, we hope, in bringing a touch of Devon’s Spring to many people who do not have the opportunity of visiting us at this, the most exciting time of the year. The hedgerows in Devon play an important environmental role in terms of biodiversity offering a habitat for a wealth of wildlife species. 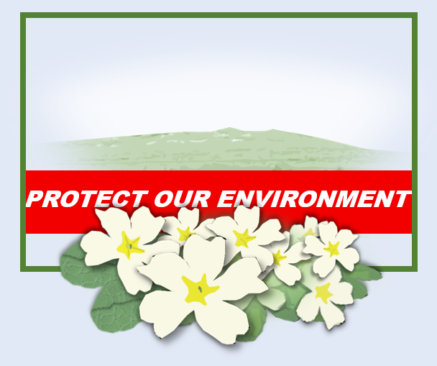 Environmental concerns and general displeasure regarding the picking of natural flowers such as primroses started to gain momentum from the 1960s. Indeed, it was only the Torrey Canyon disaster of March 1967 which kept an article on the subject from hitting the front page of the tabloids. 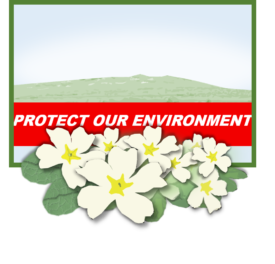 Following this negative publicity, the picking of primroses was restricted to consenting farmers fields in a bid to overcome the accusation that the countryside was being pillaged to the detriment of the plant species. Further set backs were to follow with an outbreak of foot and mouth disease causing the entire distribution of primroses to be halted, with Wiggins Teape following the advice of the National Farmers Union. That year clients were sent a pot-pourri instead, which seemed to be equally well received. Environmental pressures surrounding the picking of flowers growing naturally continued to increase throughout the 1980s and with some reluctance, the company decided that 1989 would be the last year for the sending of primroses.